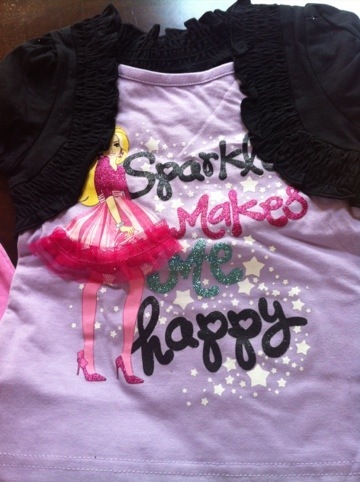 Trendy and sweet complete with lots of ruffles and razzle dazzle. 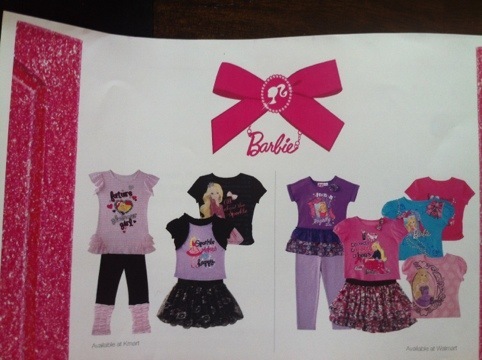 Barbie now has a brand new line of adorable clothing for little girls which will be sold in- store in both Kmart and Walmart. 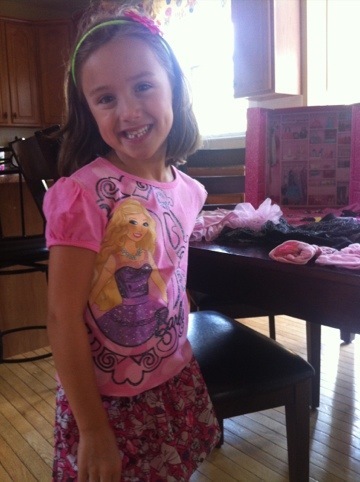 Here’s Kenzie posing in one the new outfits Barbie sent us to preview. Isn’t it sweet? The Mattel team sent us this cardboard “dream closet” full of the new outfits that will beon sale for this Back to School season. 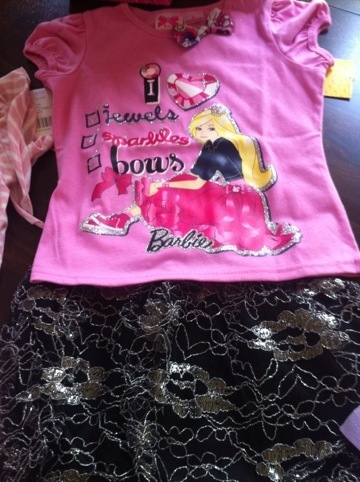 As for sizing, everything seems very true to age and size expectations which makes shopping easy too! 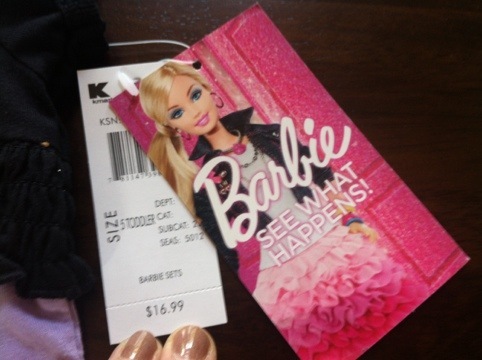 And pricing is obviously affordable as this line is sold only at Kmart and Walmart. 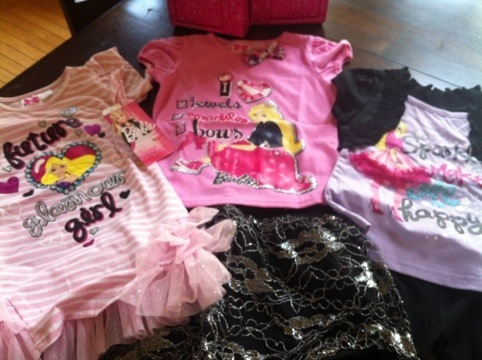 The clothing is very cute as you can tell by all these images……Kenzie can’t wait to sport these looks as she loves girly clothing so this line fits her literally to a tee! Skirts, skorts, leggings, and lots of cute tops are below! The images below showcase this new line and the outfits on the Lefthand side are available at Kmart and the outfits on the right hand side are available at Walmart. Disclosure: Thanks again to Mattel for sending us samples to facilitate our feature post.